While many people would opt to go to Bed Bath & Beyond for their more specialized shopping needs–such as bridal registry for example–old standbys such as Macy's do still have something to offer as well. The two stores have their own fans of course, but a closer look at what each has to offer shows that the two have a lot more in common than you would think. 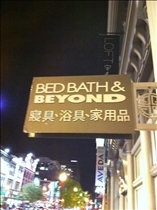 Bed Bath & Beyond was established in 1971 and the chain currently includes various retail stores all over the United States and Canada. The department store chain mainly offers medium-range merchandise, although it also offers a line of high quality bedroom, bathroom, kitchen, and dining room merchandise. The company belongs to both the Fortune 500 and the Forbes 2000 lists, and has headquarters in Union, New Jersey. Macy's is a mid-to-high range chain of department stores with headquarters in Cincinnati, Ohio and New York. Its offers a wide array of clothing merchandise, the quality of which tends to vary from location to location. The result is that only certain brands are available in some of the chain's high-end stores. Bed Bath & Beyond has a number of retail stores under other names such as Christmas Tree Shops, Harmon, Harmon Face Values and Buy, Buy Baby. The chain is also affiliated with the Home & More retail stores in Mexico. 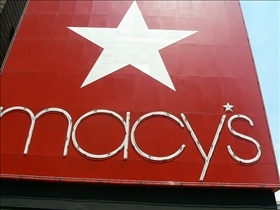 By January 2010, Macy's had more than 800 stores all over the United States. Its first flagship store was opened in Herald Square in New York in 1902. Initially comprised of a single building, the store eventually took up nearly the entire block. Bed Bath & Beyond is a widely popular choice for bridal registry services, and for good reason. The store is the ideal place to begin shopping especially for those who have not created a wedding registry beforehand. Customers are treated cordially, and are given the option to shop with a guide or on their own. In order to make pricing items easier, a scanner is also usually provided to shoppers. Upon finishing the customer is then provided with the appropriate catalogs, information, and print out of the shopping list, all of which are even presented in a gift box. The company also offers a variety of online services for bridal shopping. Macy's offers similar services, although it is slightly less fancy than Bed Bath & Beyond’s, with no special printout in a gift box. The store does offer a wide array of excellent merchandise and a scanner for customer's use. The online registry manager could use some improvement however, as it is a bit harder to navigate than the Bed Bath & Beyond site. Which store is a better choice for a bridal registry? Personally, I'm a huge fan of BBBY but maybe that's just becasue it's what I grew up on. Bed Bath & Beyond is a great company, but I agree that like many nationwide businesses it can have some weak spots. I was surfing the internet and I found this site where people can vent about poor customer service or products they received... it can get really funny. I would recommend you to check it out here. Sears vs. Best Buy: Who offers the best deals? Banana Republic vs. Gap: Calling All Fashionistas! 22 Karat Gold vs. 14 Karat Gold: Which is the Richest Golden Hue? Lord & Taylor vs. Nordstrom: Better shopping experience? JCPenney vs. Kohl's: Better Shopping Experience?